It’s that time of the year again where we dress up our kids for the “trick or treat” activity; as a parent who were born in the 80’s I want my kids to experience the yearly event because during my childhood days we don’t practice the said activity. When I was a kid I always have that desire to go on “trick or treat” the idea was introduced to me by the movie E.T., who doesn’t want free candies right? Though “trick or treat” did not make it during the 80’s and 90’s, I didn’t feel bad because my yearly October and November childhood days were spent flying a kite. 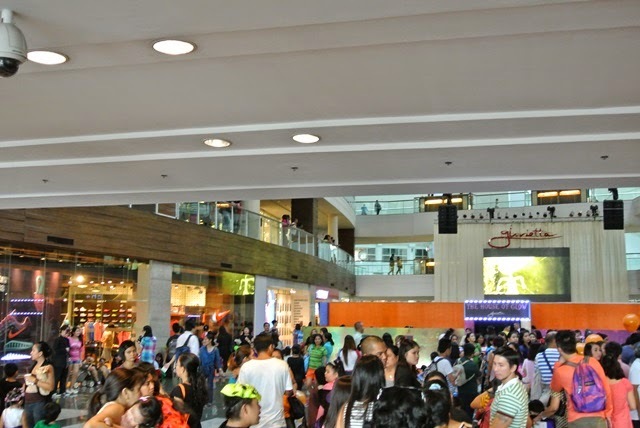 Yesterday’s “Get Your Glow On” event at Glorietta Mall turned out to be a frustration for some parents because it appears that it’s much disorganized. It all happened after they fail to give out the loot bag “A Bucket Full of Glow” which was scheduled from 10AM-12NN. According to some parents they have already anticipated the number of participants so, they showed up to the event early to ensure that they will be able to avail of the loot bag and other activities. My family arrived around 11:30PM and we immediately asked for the “official loot bag” we were told that it will be given around 2:00PM. What’s with the “official loot bag” anyway? Some parents informed us that the participating stores won’t give out candies to kids if you don’t have the card shown above and the “official loot bag”. We decided to check the other activities but decided not to proceed because the line has started to pile up. The long line at the entrance of "The House of Glow"
The much awaited 2:00PM deadline came, the helpful lady at the concierge advised us that “The loot bags won’t be available because they were not able to estimate the number of kids aside from that the suppliers won’t be able to meet up with the demands”. 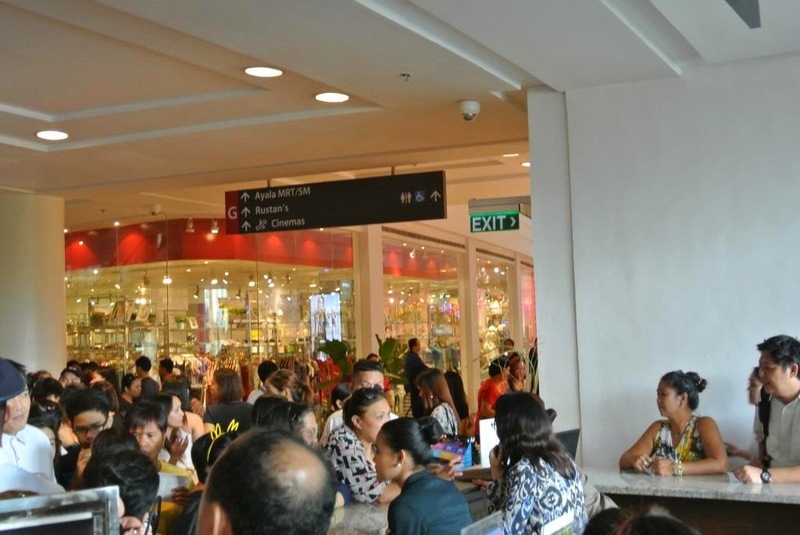 This resulted to more disgruntled parents because if that would be the case Glorietta should have informed us earlier; instead, we were given the run around that it will be given later which wasted our precious time. A long line of unhappy parents and guardians. The event host then released a communication which goes like “Due to unforeseen turn of events the loot bags won’t be available”. Due to disappointment some parents decided not to proceed with the trick or treat event and went home instead. 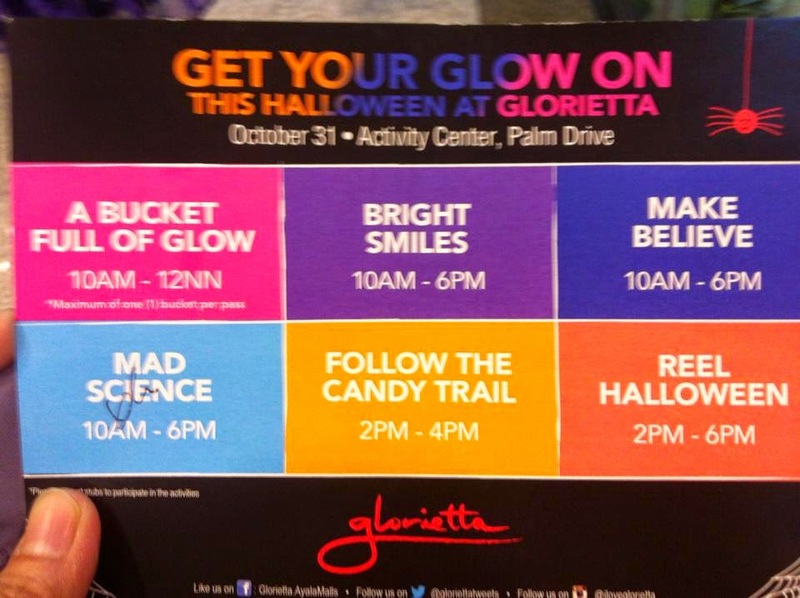 If you still want to claim your "loot bags" you still have the chance to do it by going to Glorietta from November 1 - 3 during mall hours provided that you still have the card with you. If parents were able to estimate the number of participants the mall should have anticipated the same as well; the mall should have provided a heads up early on so that we don't have to expect that it would be released on a later time only to find out that they can't provide it. 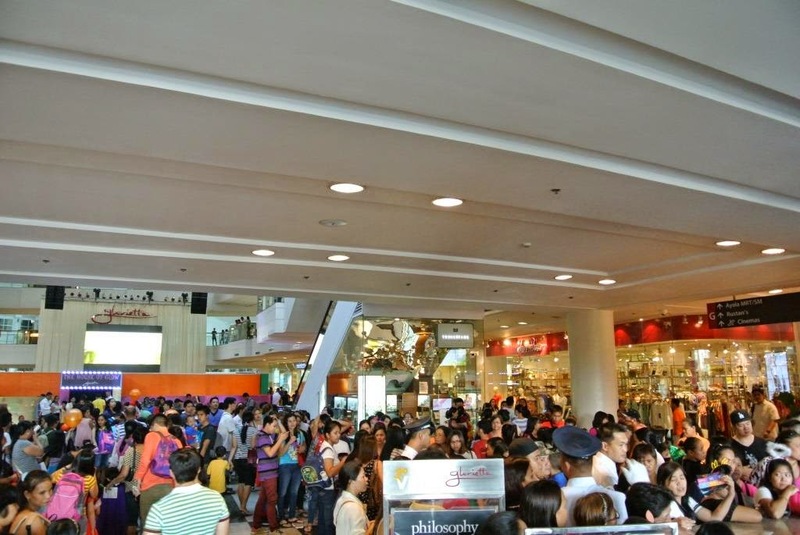 Were you in Glorietta yesterday? How was your experience on this year's "trick or treat" event? For me it was all tricks no treats.